The nose is quite different from your usual American whiskey – no wonder, it’s all malted barley. Quite a whiff of alcohol (with menthol) at the beginning. When it does fade a bit (it never goes away completely), the nose is met with loads of oak cask goodness – caramel, liquorice and maple syrup. A sneaky chunk of toffee has also found its way into the glass. There’s more lurking in the background behind the bold, big flavours. A whiff of cask smoke, fresh ginger and herbal cough syrup. 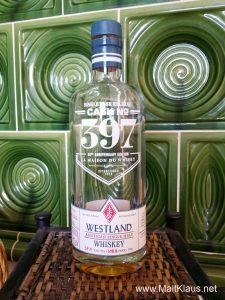 Very oak-forward and only the freshness and alcoholic kick remain from the distillate, but every bit as enjoyable (if not more) as a high-quality bourbon of a similar, young age. With water, an additional component emerges – fresh, sweet flower petals! Interesting! Let’s check the palate! Much more mellow and behaving on the arrival than expected – before it gets a chilli, pepper and ginger kick a few seconds in. Boom! Gotcha! Initially quite dry, but with dilution by saliva, it quickly transforms to an oily and juicy mixture with the same bold fresh cask notes (liquorice, caramel, some vanilla) at the forefront. Let’s add a bit of water to tame the beast and find out what’s lurking behind the big, bold flavours… Hmmm… the sweet flower petals make a return, together with mixed dried herbs, some spices (cloves), swimming in a bed of maple syrup. Do I detect some tobacco as well? Just like the nose it’s big, bold and cask-forward but in a very good way, very enjoyable. The long finish is big and rich upon swallowing, juicy, yet getting a bit dry (which is good). We’ve got lingering notes of vanilla sweetness with slight herbs and spices and a hint of a burning cigar. Verdict: Oh wow, that’s impressive! Obviously very young whiskey, but with a lot of oomph and character. Never boring, never too harsh, never “easy”. Oak-forward, absolutely, but in a very good way. Definitely not your average American whiskey – this is something very unique. 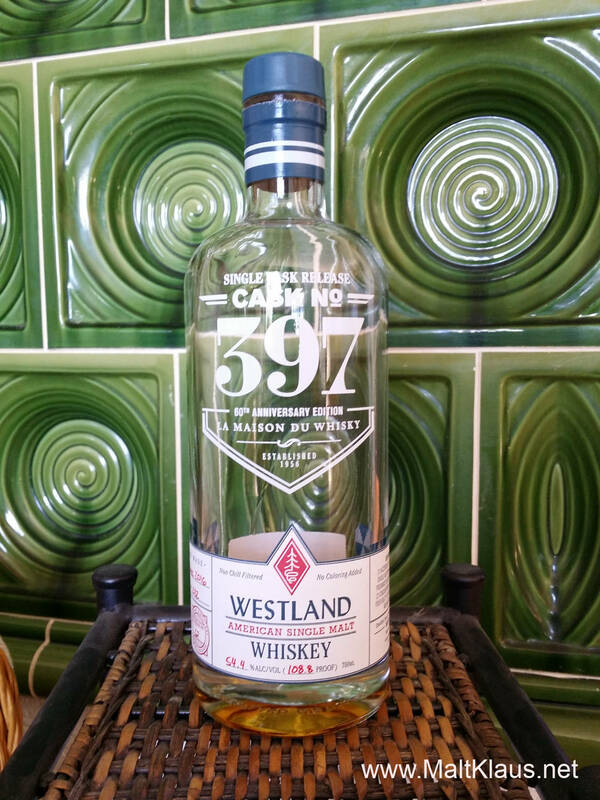 Good job, La Maison du Whisky, for selecting that cask for your 60th anniversary, and good job on creating that whiskey, Westland! Thanks to Keith’s dregs for the sample!